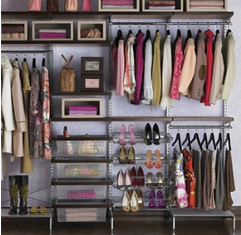 Organize your closets for the Fall/Winter Season. Ever year, I organize my kid's, husband's and my own closet from spring/summer season to fall/winter season and vice versa. This helps me easily find the items I need for the current season in a clutter-free way and makes room in my closet for new seasonal purchases. Categorize each piece in one of the four piles - keep, mend, donate, throw away. Toss mismatched hangers: Their irregular shapes take up more space, and the wire ones that dry cleaners use are hard on your clothes. If you have a small closet, place all of the above in airtight containers and store them away with mothballs or cedar wood for protection. 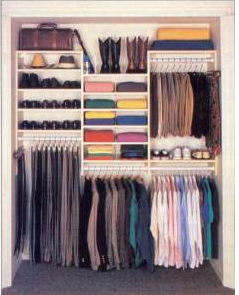 If you have a large closet, stash these items in the back and bring forward your Fall/Winter stuff.